Magma has been known to lean into jazzy territory from time to time, and the Canterbury bands (Soft Machine, Matching Mole) did so even more strongly. Bringolf brings elements of both zeuhl and Canterbury together into an interesting flavor of music. If you're prone to classifying things, you'd probably say this is jazz - large ensemble fusion specifically - though the more Magma-esque touches might throw you off. But hey, they're European, so maybe you don't expect it to be real jazz anyway. 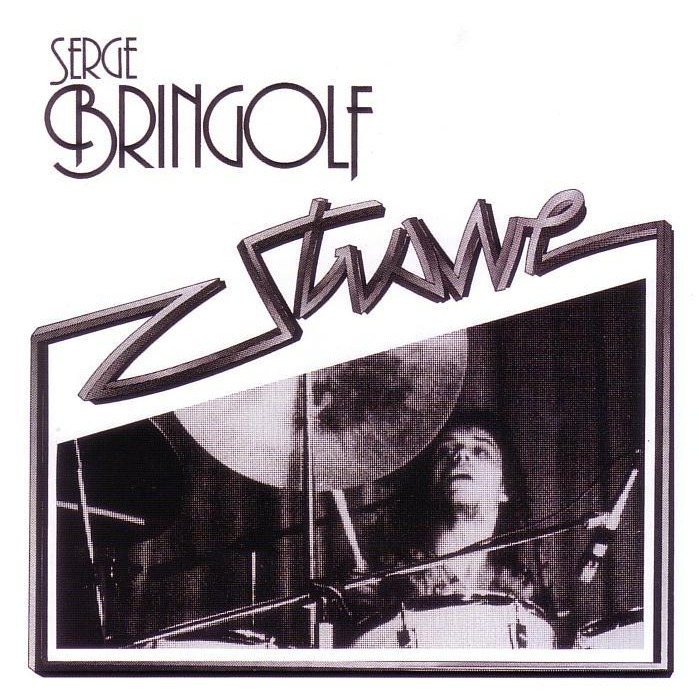 The core of this 1980 recording (originally a double LP) is Bringolf at the drums and bassist François Grillot; a brass section, strings, and mallet percussion round out the sound. And of course there's a vocal section as well, providing parts in true zeuhl tradition. All four side-long tracks from the original release are presented with good sound quality - a very live feeling - with my only complaint being a slight lack of oomph in the low end on the bass, but that's perhaps the tone Grillot used on his fretless electric. The musicianship throughout is outstanding, with every player getting a moment in the spotlight, and the compositions are quite solid as well, full of interesting twists and sections. At times, there's a similarity to the extended Mahavishnu on Visions of the Emerald Beyond. Given its genre-straddling sound, Strave is a worthy gem that should should appeal to fans of both jazz and progressive rock without alienating either side.